Dual Core Dedicated Server - Reliable Hosting Company | Dedicated Server | Shared Hosting..
Dual core dedicated server well as quad core dedicated server Provider, AtrixHost offers some of the best servers and support to help you grow your company. Our range of servers is designed to help you function without any hindrances. Has your website been slow and can no longer handle the onrushing traffic it faces on an almost daily basis? This might be due to the servers you are using. 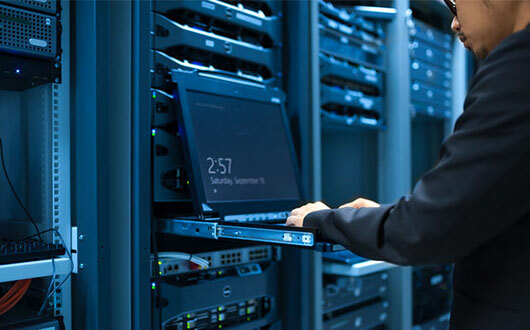 When running a business online or using the internet as one of the modes of business, often people ignore the importance of having dedicated servers. Its negligence is what causes more than half of these businesses to slow down growth and, in some cases, even shut down. Today, the internet rules the world and almost every form of marketing, campaigning, and sales are conducted via the internet. Therefore, for a growing brand, it would make absolute sense to have dedicated servers from the get-go and build upon that. There are many configurations you can take your pick from, but the ones we recommend for any budding start-up or businesses are the dual core and quad core setups. They come with enough memory and storage along with fast processors to help with any fluctuations in traffic. The specifications of such systems are impressive, and both have their different set of advantages. The dual-core servers come with Intel Atom processors, 4 gigabytes of RAM, 500GB to 3 TB HDD storage and 64GB to 1TB SSD storage. The quad-core dedicated server options come with Intel E3 1265 LV2 processors, 8 gigabytes of RAM, 1Tb of HDD and allow over 10TB of monthly data transfer. The latter is designed for businesses who are up and coming. Apart from the benefits of having faster functionality, our services also provide 24×7 technical support. We also take in criticism and any complaints about our services very seriously. We do everything in our power to amend any issues and fix them immediately; this allows us to stay on top of our competitors. For all your server needs and more, you should reach out to Atrixhost and inquire about more details.